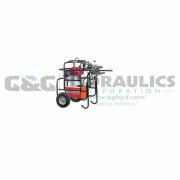 A hydraulic drive system utilizes a pressurized working liquid to deliver power to machinery. Every system has many common aspects. 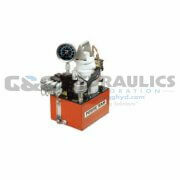 Here we will focus on the hydraulic pump. Its purpose is to pressurize the hydraulic liquid that will be used to drive a machine. The pump can be used to pressurize liquid in what would be called an open loop system, or to re-pressurize liquid after it has driven a motor, known as a closed loop system. In both cases, pump types are matched to certain applications and have different specifications to fit into any process design scheme. 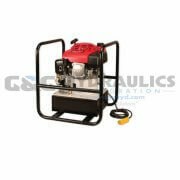 Hydraulic pumps are essential tools in order to pump liquid into the pump's own outlet. They source out their power from mechanical forces and are capable of rotating and acting like a motor. In order to get the best type of this pump, it is essential to look into how it operates, at the same time check into the features it possesses. 2. How does the hydraulic pump work? It works based on Pascal's Law which states that pressure in a static hydraulic fluid in a closed system is distributed evenly throughout the fluid. 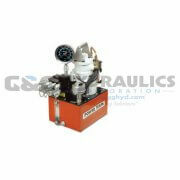 A hydraulic pump works on the principle of converting the mechanical energy and motion into hydraulic fluid power. Pumps are capable of rotating and acting just like a motor. 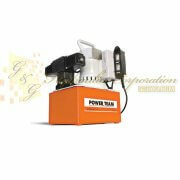 They are usually powered by gas or electricity motor and also hand and air driven motor can also be found or utilized. In the fluid power industry there are three main types of these machinery used, which are basically the vane, gear, and piston pumps. 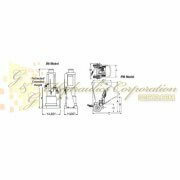 One will find two different kinds which are used in hydraulic drive systems, these are hydrostatic and hydrodynamic. The major differences between the hydrostatic are that these are positive displacement models while hydrodynamic are typically fixed of variable displacements. Generally, in a hydraulic pump, water or another liquid is highly pressurized and moved through various motors and cylinders. To control the liquid, various valves, hoses and tubes block or disperse the liquid creating the pressure and force without the need of an external power source. 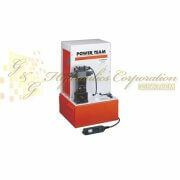 By using the kinetic energy (molecular energy) of the water/liquid to power the pump, no electricity is needed. And according to Pascal's law, if you increase the pressure in one area ofa system, it increases throughout the system. That's why most applications require Pressure Energy. In order to drive or operate certain machinery, the hydrostatic drive system may be required. This system makes use of a hydraulic fluid under pressure, making it easier to operate such mechanisms. Also known as the hydraulic power transmission, this system generally includes valves, piping, and filters to help in guiding and controlling the system. 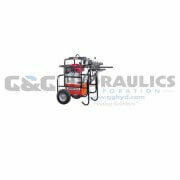 It also includes the motor part of the transmission, in which a hydraulic motor or hydraulic cylinder is seen to be able to drive the machinery. And lastly, it also includes a hydraulic pump, driven either by an electric motor, a windmill, or a combustion engine, of which would be under the generator part of the transmission. Pumps help with the right pressure for good machinery operations. A closer look at hydraulic pumps would show us that this particular unit of the whole system is indeed a critical ingredient for good use of machinery. 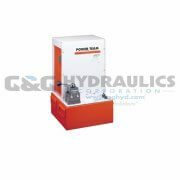 Now let's take a quick look at standard and electric hydraulic pumps. The standard hydraulic pump is the single most important component in a hydraulic system; therefore, the pumps are equipped with mostly coated bushings to give a long life, withstand large temperature fluctuations, and at the same time have low internal friction. Of course, like many other types of pumps, the hydraulic pump also has a wide range of applications. Its application can be summarized as transferring and circulation of liquid within light industry and farming irrigation and pressure boosting. And it also can be applied in cooling systems and air-conditioning systems. Standard pumps are a cost effective and well approved solution for industrial applications. Three types of electric hydraulic pumps are commonly used in the general fluid power industry: gear pumps, vane pumps and piston pumps. By definition, all three of these types of hydraulic pumps are referred to as positive displacement pumps. By definition, a positive displacement pump transfers a set or precalculated amount of hydraulic fluid from a container or reservoir into a contained and pressurized hydraulic system. The next step is for the fluid to be transferred to a mechanical unit where the pressure can be converted into mechanical force. In general, hydraulic systems tend to be delicate systems on their interior. Valves, seals and gauges can become damaged if dirt, debris or water were to become mixed with the hydraulic fluid. It is for this reason that all hydraulic systems will have some type of attached filtration system to keep the fluid clean. The fact is that electric hydraulic pumps are relied on heavily in all areas of manufacturing today. The reasons are because they are durable, controllable and well sealed, which makes them the ideal pump for performing in a dirty environment. Gear pumps, vane pumps, and piston pumps are the foremost types of hydraulic Pumps I. Gear pumps - uses gears to pump fluid by displacement. Hydraulic gearpumps are one of the most common types of pumps. There are several advantages and disadvantages to gear pumps. 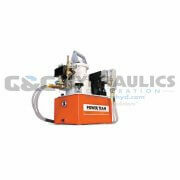 The advantages are: high speed, high pressure, and quiet operation. 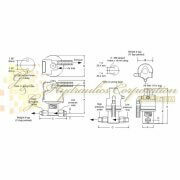 The disadvantages are: the use of four bushings in the liquid area and fixed end clearances. II. 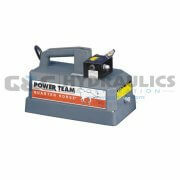 Rotary vane pumps - a positive-displacement pump. They include a ring mounted inside a cylindrical case. There are a number of radial slots in which sliding vanes are located. Mounted to the case is the ring and the vanes are designed to press against the inside wall of the case. Hydraulic pressure or spring force or centrifugal force as the ring is rotated will cause the vane to be forced against the wall. III. 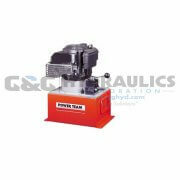 Axial piston pumps - a positive displacement pump. There are several pistons in a circular arrangement in a cylinder block. IV. Radial piston pumps - a circular arrangement of hydraulic pistons, and valves which allow pressures greater than 650 Bar to be reached. V. Screw pumps - a positive displacement pump. Have one or more screws that rotate to transfer high or low viscosity fluids along an axis. It is important to keep the pump clean and well-maintained and follow operating guidelines for best operation and longevity. It is best to keep the pump clean and keep foreign materials away from the piston area, so that the surface does not get damaged. Use the proper oil, and do not let the reservoir run dry. Do not exceed the pressure ratings on pumps that do not have an overload relief valve and take care when adjusting or re-setting pumps that have an overload valve. Every mechanical part needs maintenance, so do hydraulic pumps. Obviously, theproper maintenance can keep mechanical products under good conditions. Otherwise, improper maintenance may lead to many problems which will then cause more serious problems. Therefore, you should do some preventive maintenance to avoid some unnecessary failures. The preventive maintenance of the hydraulic pump involves many steps. It iswarned that the maintenance or repair procedures should be done after disconnecting the pump from the power supply. 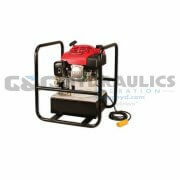 The following are some advice related with the preventive maintenance of the hydraulic pump. Before selecting any type of hydraulic pump, it is essential to consider a few very necessary points like operating pressure, temperature and its frequency. There are less expensive, low-pressure models which will certainly provide satisfactory solutions to several applications that require minimal pressures (less than 200 psi). This type should not be considered for heavy industrial operations. Increasing complexity of these modern hydraulic machineries has led not only to higher performance and operating pressures, but has also affected the bills at any break down event. One has to be proactive in maintaining hydraulic pumps and motors for their smooth operation. Here is the routine maintenance checklist to maintain these hydraulic machineries. 6. Any type of failure must be thoroughly analyzed. It is quite important for you to know that a hydraulic pump is a very vital component of construction, manufacturing, and machining equipment. It is responsible for a machine's precision, its efficiency, and overall performance of an entire system. Various materials are used in hydraulic pumps to minimize wear and provide consistent performance. The type of material used varies according to pressures and temperatures that a hydraulic system will undergo. When choosing a pump, it is recommended to consider factors like operating pressure, temperature, and frequency. For applications requiring minimal pressures, less expensive, low-pressure pumps are available. Aeration: The presence of dispersed air bubbles in the system's hydraulic fluid. Aeration can result in severe erosion of pump components when the bubbles collapse as they suddenly encounter high pressure when entering the discharge area of the pump. 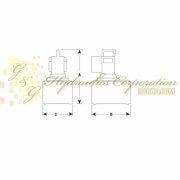 Accumulator: A chamber in which a liquid/gas can be stored under pressure, and can be taken on system demand. Absolute Filter Rating: Filter rating meaning that 99.9 percent of essentially all of the particles larger than a specified micron rating will be trapped on or within the filter. Absolute Pressure: Pressure above zero pounds per square inch. Brake Horsepower: The measured quantity of energy that must be supplied by the driver for the pump to operate successfully at the given conditions. Control: An item that can change the function of a unit. Coupling: Consists of two parts Male (Probe) and female. Can be disconnected and connected quickly and contain check valves to prevent leakage of fluid when not fitted together. DC - Direct Current: A one-way push of electrons, electric charge. zero GPM - also known as Shut-off Head. Decks: Those areas surrounding a pool, spa or hot tub that are specifically constructed or installed for use by bathers. Sump/Bilge: Portions of a pool, spa or hot tub having water depths in excess of five feet (5'). Deep Well Jet Pump: A type of jet pump able to lift water less than 70'. It has two pipes leaving it - the suction pipe and the drive pipe. Electrical Energy: A wave that moves along columns of electrons around a conductor. The energy itself is contained in the electromagnetic fields connected to those electrons and moves very fast (almost the speed of light), used up when it reaches a load. Energy: Cannot be created or destroyed, only converted. Engine Driven Pump: A type of pump which uses an electric or hydraulic motor as its driver or motive force. Flow Rate: The volume of fluid passing a point in a given time. Fluid Power: Energy transmitted and controlled through use of a pressurized fluid. Force: A push or pull acting upon a body. In a hydraulic cylinder, it is the product of the pressure on the fluid, multiplied by the effective area of the cylinder piston.It is measured in pounds or tons. 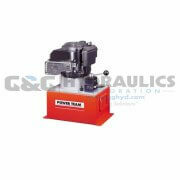 Hydraulic Balance: Equal and opposed hydraulic forces acting on a part in a hydraulic component. 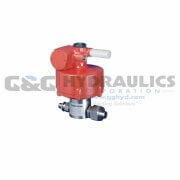 Hydraulic Control: A method of control that is actuated by hydraulically induced forces. Lift: Elevation difference between the surface of the static water source and the center of the static water source and the center of the pump Open Center Valve: A valve, in which the inlet and outlet ports are open in the neutral position, allowing a continuous flow of oil from pump. Open loop circuit: A system where the oil is drawn from a reservoir at atmospheric pressure, circulated by a pump under pressure, through valves, into an actuator and then returned to the reservoir at near atmospheric pressure. Most hydraulic systems are of this design. 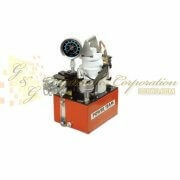 Operating Pressure: The pressure at which a system is normally operated. Pump: A device which converts mechanical force into hydraulic fluid power. Basic design types are gear, vane, and piston units. Rated Pressure: The operating pressure which is recommended for a component or a system by the manufacturer. A hardworking pump is central to the success of any operation that uses a hydraulic system for its pressure needs. We have put together the most expansive collection of hydraulic pumps to meet you right at the point of your needs. Coming in many shapes and sizes and adapted to a variety of applications, our pumps are built to perform in the toughest conditions. Wherever you deploy them - on aircraft jacks, clamping devices, roller tensioners, trash compactors, or torque wrenches - these pumps are designed to ensure easy operation and guarantee years of trouble free service. PG554 SPX Power Team Pump, Gasoline 30-55 Cu In/Min Capacity 5.7 Gallon, Double Acting UPC #66253600..
PG553 SPX Power Team Pump, Gasoline, 30-55 Cu In/Min, Capacity 5.7 Gallon, Single Acting UPC #662536..
Works well. Thanks for the assistance..
Works well. Thanks for the assistance.